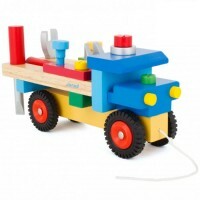 Toy tractors and diggers are a perennial favourite with toddlers. 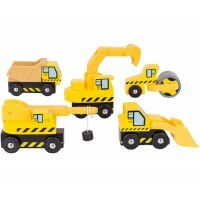 Ask any little boy what his favourite toy is and very often it will be his tractor or his digger. These very young farmers will spend many happy hours moving stuff around the sand pit with their tractor and making holes in imaginary roads with diggers. 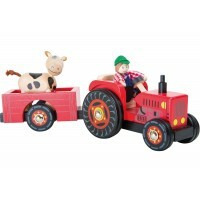 Our fantastic selection of wooden toy tractors and diggers will delight children who love playing with farm and construction toys. Take a look for yourself and choose from our terrific tractors and delightful diggers. We guarantee your children will love them.